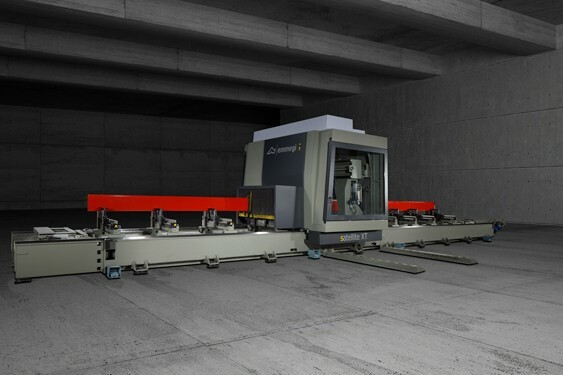 Machining centre CNC with 4 controlled axes, used for the working of bars or aluminium, PVC, light alloys in general and steel pieces up to 2 mm. Automatically positioned clamp unit. 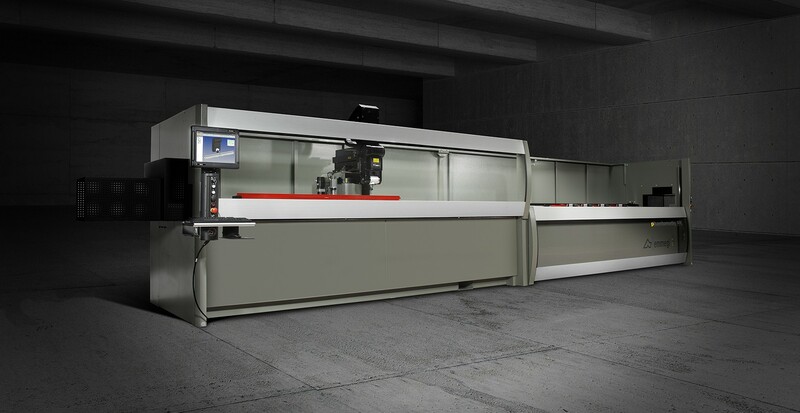 All models can operate in single piece and multi piece mode, with a single work area for bars up to 7.7 m in length. The PHANTOMATIC X6 and PHANTOMATIC X6 HP models allow machining in pendular mode, with two independent machining areas. The PHANTOMATIC X6 HP version, with 2 supplementary axes to position the clamps and the reference stops allows operation in dynamic pendular mode, carrying out clamps positioning while the machine is working. It has an 8 place tools storage, on the on X axis truck, with the possibility of hosting an angular units and one milling disc, to perform machining on the 5 sides of the piece. The 4th CN axis allows the electro spindle to continuously rotate to from 0° to 180° to perform the work on the profi le edge.